Melissa's Antiques: I Need YOUR Help! Life has been busy. I've been engaged for 3 months today. And I haven't done a single thing for my wedding, except buy a vintage milk glass cake stand. That was 4 days after I got engaged. So, after much thought, the wedding will most likely take place over my fall break next October... so exactly one year from now. That may seem like a lot of time, but I'm sure it will come and go quickly. So, I've known from the beginning that my wedding would be 100% vintage. When I started collecting odd bits of costume jewelry this summer, it got me thinking about how I could incorporate that into my wedding. 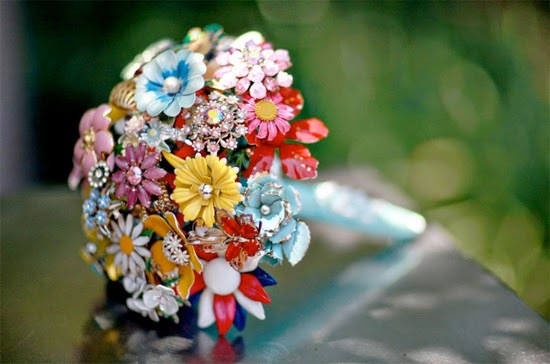 With a simple google search, I found the above vintage enamel floral brooch bouquet idea. I knew I had to do this for me and my 2 bridesmaids. After pricing brooches in local antique stores and even my local thrifts, I thought I couldn't afford to do this. After all the bridal bouquet alone will take 50-60 brooches, while the bridesmaid ones will take 25-30. That's anywhere from 100-120 brooches. If they each cost me the antique prices, I'd spend over $1000 on these alone. NOT what my thrifty self had in mind! 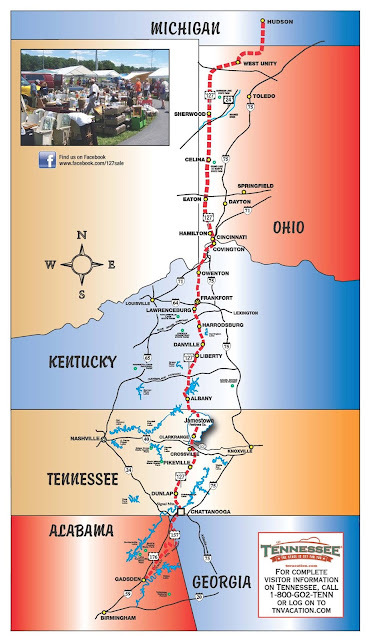 So, here's where I'm enlisting your help. I know some of you out there in blogland find these all the time in the $1-3 range! I need you guys to pick them up for me! I will gladly pay you real money $$ OR I'm even willing to trade for other vintage goodness. Please send me emails (melissasantiques AT gmail DOT com) OR direct message me on Instagram (melissasantiques). As the brooches come in, I will definitely be showcasing them here with a link back to the lovely blogger/instagrammer who helped me out. I also thought that this would be a fun way to incorporate all my vintage-loving blogland friends in my wedding. I'm sure I'll be including you all more as the days count down and we get closer to the big day. Happy hunting. I'm really looking forward to seeing what you all find. Melissa are you only looking for flower brooches? I'll keep an eye out for some at a low price for sure. Beautiful! My cousin made one at her wedding and use vintage buttons and pins together. I sent her some and many other family members contributed and it made the bouquet extra special. I will put flower brooches on my list and let you know what I find! I do not look at brooches at the thrifts, but I will take a quick peak for the time being. Hmmm, I'll have to browse my stash. I know I've got a few floral ones around here but I'm not sure of their condition. I'll contact you if I get the time to look and if I find anything you might want. Just found your lovely little blog and I have to say I am excited about the thought of a treasure hunting mission. I'll keep an eye out for you! Would you be able to use vintage floral earrings as well?